All MAIN STREET PLACE CONDOMI homes currently listed for sale in Scottsdale as of 04/23/2019 are shown below. You can change the search criteria at any time by pressing the 'Change Search' button below. 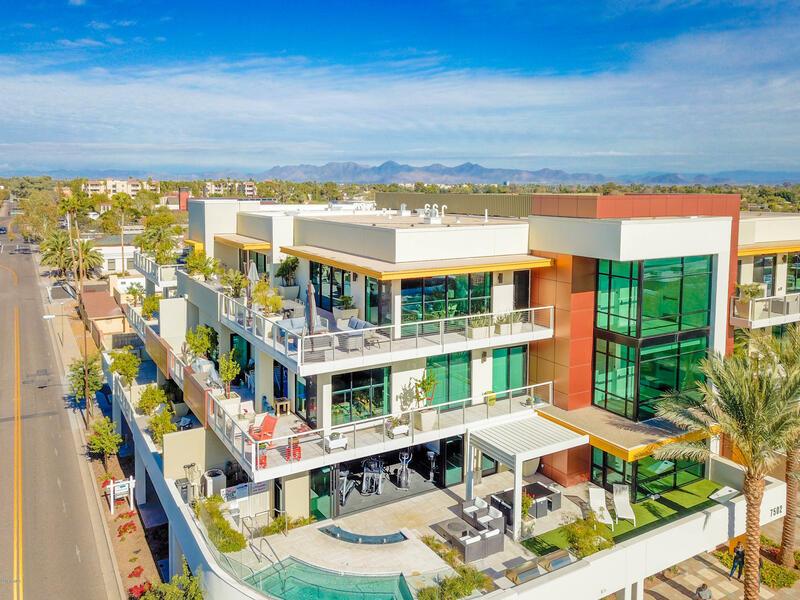 "Urban luxury penthouse the heart of Old Town will be sure to spoil and pamper with its amazing views of Four Peaks, Papago Buttes and the majestic McDowell mountains. Enter to be greeted by a Coffee & Juice shop for residents and passing street traffic! Brand new South facing corner unit with premium amenities and finishes ready to move in. Enjoy the 3 gas fireplaces, expensive terrace, hardwood floors, shaker style cabinets, quartz tops, Wolf and Sub Zero appliances. You will appreciate the con"
"Customizable blank canvas to be filled with your desires. This comes with an award-winning design specialist Misty Cowan. Schedule a showing to see the vision these urban luxury condos have to offer. Be spoiled and pampered living in the heart of Old Town with premium amenities and finishes including gas fireplaces inside and on the terrace, hardwood floors, shaker style cabinets, quartz tops, Wolf and Sub Zero appliances. Enter to be greeted by a Coffee and Juice shop for residents and passing "
"Customizable blank canvas to be filled with your desires. This comes with an award winning design specialist Misty Cowan. Schedule a showing to see the vision these urban luxury condos have to offer. Be spoiled and pampered living in the heart of Old Town with premium amenities and finishes including gas fireplaces inside and on the terrace, hardwood floors, shaker style cabinets, quartz tops, Wolf and Sub Zero appliances. Enter to be greeted by a Coffee and Juice shop for residents and passing "